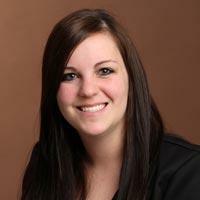 Heather Neugebauer joined the South Dakota Corn staff in February 2012. Her previous experience includes working as a bank teller at U.S. Bank in Sioux Falls and five years as a nuclear medicine technologist in Scottsbluff, Neb. She and her husband, Travis, wanted to be closer to their families so they returned to South Dakota. Growing up on an acreage near Tea, her pets included not only dogs, cats, chickens, ducks and lambs, but also peacocks and a llama. She earned an associate of applied science degree in nuclear medicine from Southeast Technical Institute in Sioux Falls. She and Travis have three children: Talan, Ava and Wyatt. In her spare time, Heather hangs out with friends and spends time with family. She loves to cook, shop and camp.